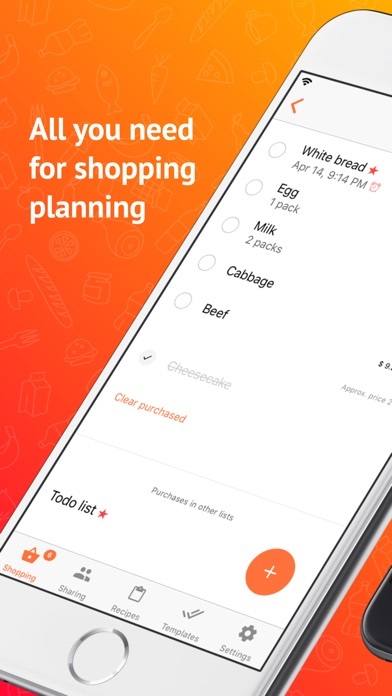 Сheflist - shopping list with intuitive and user friendly interface. Write down in your smartphone everything you need to buy in the store - and you will not lose anything and will not forget. A predefined goods dictionary save a lot of your time for list preparing and shopping planning. You can also save new items in the goods dictionary. 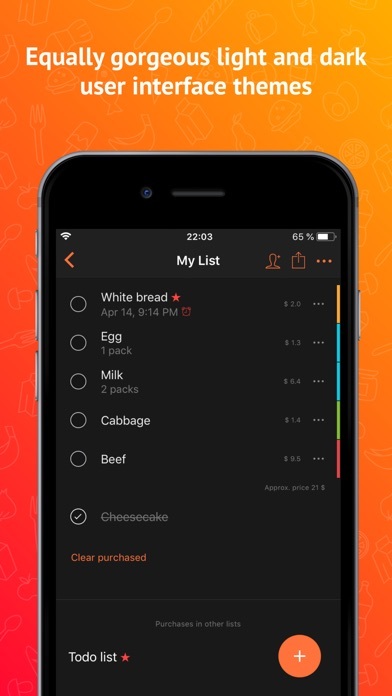 Key features: • User friendly shopping list with the ability to create multiple lists for different tasks. 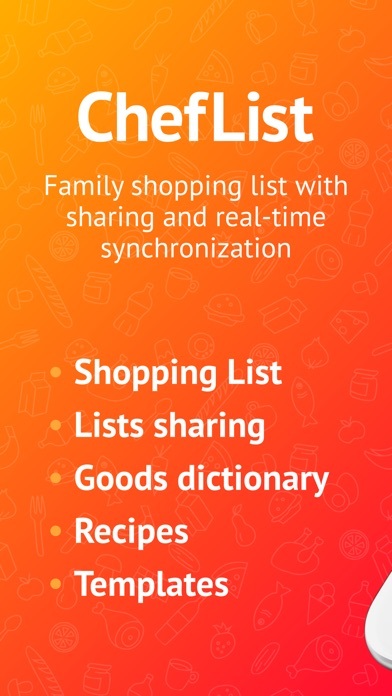 • Shopping lists sharing with real-time updating on the go. • Goods dictionary with approximate prices. • Categories dictionary. 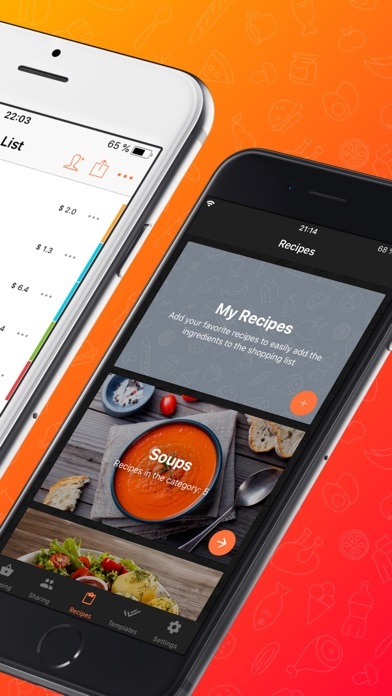 • Recipes - your personal mobile cooking book. • List templates for easy list making with regularly repeated purchases. Goods are conveniently sorted by department. For perfect convenience, departments can be assigned any sequence - vegetables to put along with the fruit, and the dairy after the bakery. Mark important items and these items will be at the top of the list. The goods dictionary stores not only the names of goods, but also prices. And in the store you will quickly understand approximate price that you will spend. 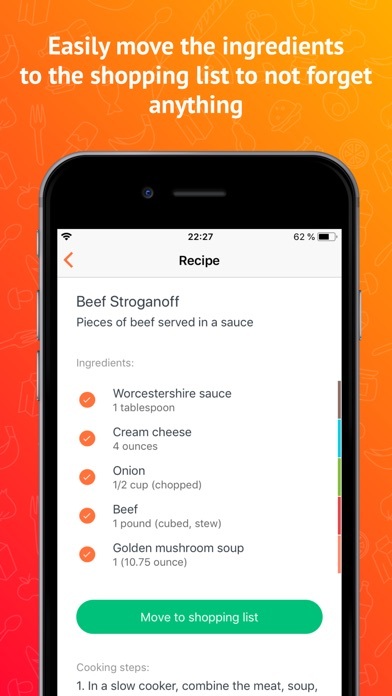 Use Recipes functionality to create your own cooking book. 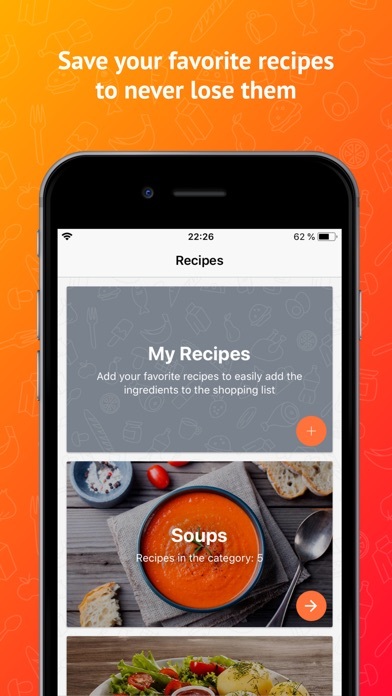 You can easily create shopping list based on your recipes ingredients. It's very simple and useful. 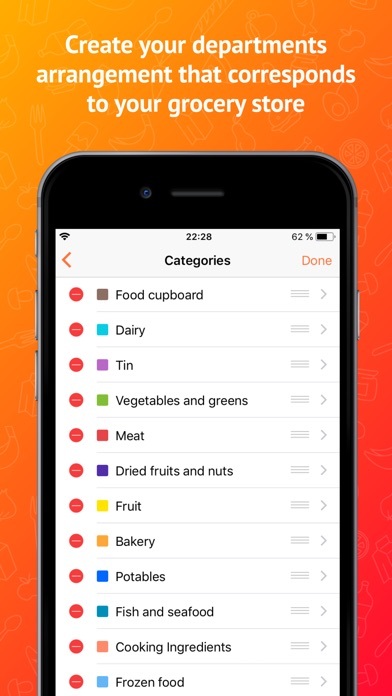 You can also create shopping lists templates for regularly repeated purchases and use them to quickly create shopping lists. 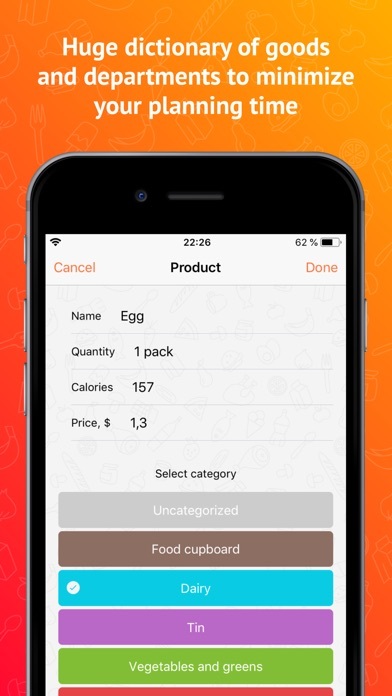 We hope, that templates and recipes will help you to facilitate and automate process of making shopping lists! We want to save your time for other pleasant things in this life! 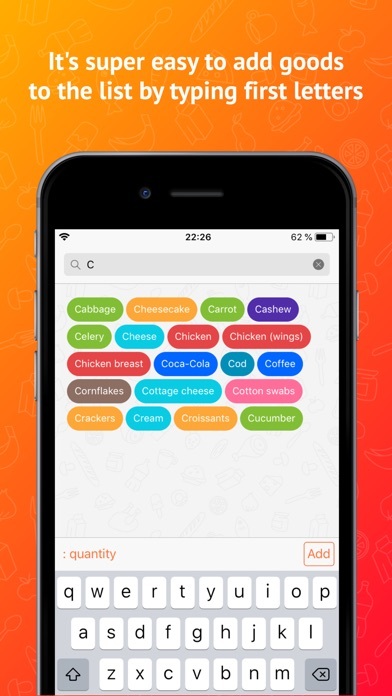 ChefList takes care of its nice interface - so there is no advertising in the application. Absolutely. 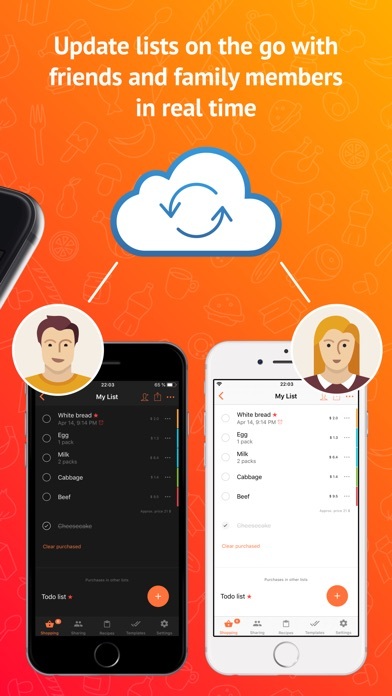 Get shopping list sharing and sync with PRO version. And now no one can say that he or she has forgotten about cheese and chicken. On your phone add cake to the list, and on the other phone this entry appears automatically. Enjoy your shopping! * * * Please note! Unfortunately, AppStore does not allow to share in-app purchases within the Family Sharing. For more information - https://support.apple.com/en-us/HT203046 We took this into account and tried to make the price for a PRO version of the minimal one to provide an acceptable price for family using of the ChefList. We would happy to make sharing of the shopping lists free, to make more people happy. But these funds go to the maintenance of the real-time sharing server and the development of new features. All the basic functionality you get completely free without ads!